Additional Info: The plant is indigenous to India. It excretes a resin, which, when fresh, is wet, fragrant, and characterized by golden hue. When diluted with water the substance forms an emulsion, when exposed to sun it melts, and may be burnt in fire. It is commonly applied as an alternative to costly myrrh. Elements Applied: Gum oleoresin is applied in herbal medicine. Used For: The herb is known to promote metabolism, reduce pains and spasms, relieve constipation and flatulence, treat diarrhea, induce menstruation, promote expectoration, calm the nervous system, rejuvenate and stimulate the body. The range of conditions in which Indian Bedellium is applied includes: hemorrhoids, gout, endometriosis, diabetes, cystitis, high cholesterol, cervical gland enlargement, bronchitis, arthritis, abscesses, ulcers, tumors, skin conditions, rheumatic conditions, neurosis, nervous conditions, lumbago, leukorrhea, and indigestion. Preparation and Intake: The herb is applied in form of pills and powders. Safety: Warning! 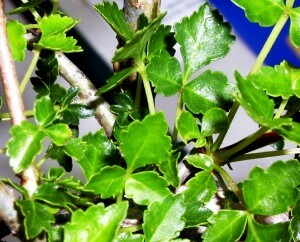 The plant may affect kidneys and cause rashes. Don’t consume pungent and sour meals when using the plant. There is no further data concerning the herb’s safety level. Speak to your health-care provider before using the herb and administer it only under medical control.